Before you buy Jamorama, you may want to first explore what it’s all about. Jamorama is an exceptional learning tool for all skill levels of guitar players and is a forerunner in the production of guitar learning software. To help you decide what edition best suits you before actually buying Jamorama, you can review the current editions listed here and the features they have to offer. There are a tremendous amount of Jamorama reviews written by various authors distributed throughout the internet and I have yet to find one that has any negative connotations regarding this product. Jamorama has soared in popularity for those desiring online guitar lessons and has helped multitudes of aspiring guitar players reach their goals. Below you will be reviewing Jamorama’s three latest versions of guitar instruction: the Standard, Deluxe, and Hardcopy editions. Several of the former editions, Jamorama Acoustic and Jamorama Lead, are no longer available but were integrated into the Deluxe edition. You will also find details of what each edition has to offer. The beginning guitarist as well as the advanced player will without a doubt find Jamorama as a beneficial learning tool to further their playing abilities and skills. This particular edition teaches rhythm guitar and demonstrates strumming patterns using simple, common chords played in many popular songs. 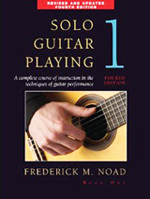 You can use an acoustic guitar or an electric guitar while learning the various techniques taught. One of the best features of the Jamorama Standard Edition is the video lessons that teach you the basics. Two high resolution cameras are used at different angles to show you both the right and left hand movements. Demonstrations of “open” and “bar” chords are given, and step by step instruction in a logical manner is taught throughout the course. There are other bonus materials that you will receive with this edition as well. To buy Jamorama Standard Edition at the time of writing this Jamorama review is $49.95. SongPond is one of Jamorama’s newest features that will teach you how to play some of your favorite songs, taught by professional music teachers with step by step instructions. This edition is the most popular, and you can buy Jamorama Deluxe currently for $99.95. Jamorama Hard Copy is the Standard edition but is a physical product you actually receive as opposed to the downloadable material. You will receive hard copies of the eBooks, DVD’s, and CD’s. Although buying Jamorama’s Hard Copy is slightly more expensive than the other two editions, I find the convenience well worth it. You can presently buy Jamorama Hard Copy Edition for $149.95. As previously mentioned, all Jamorama reviews I’ve read have all been positive, and each review indicates Jamorama is an all-in-one program where the need to buy additional learning materials is unnecessary. In addition, all three versions offer online support and a 60 day money back guarantee. For the price of private instruction in comparison, buying Jamorama can be a cost-effective investment that has been proven to be a great learning experience in the quest to master the guitar.